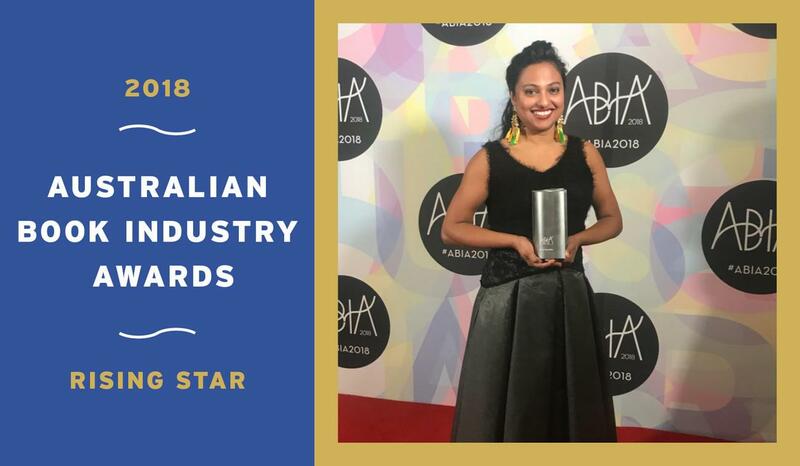 The 2018 Australian Book Industry’s Rising Star is Text’s Very Own Shalini Kunahlan! 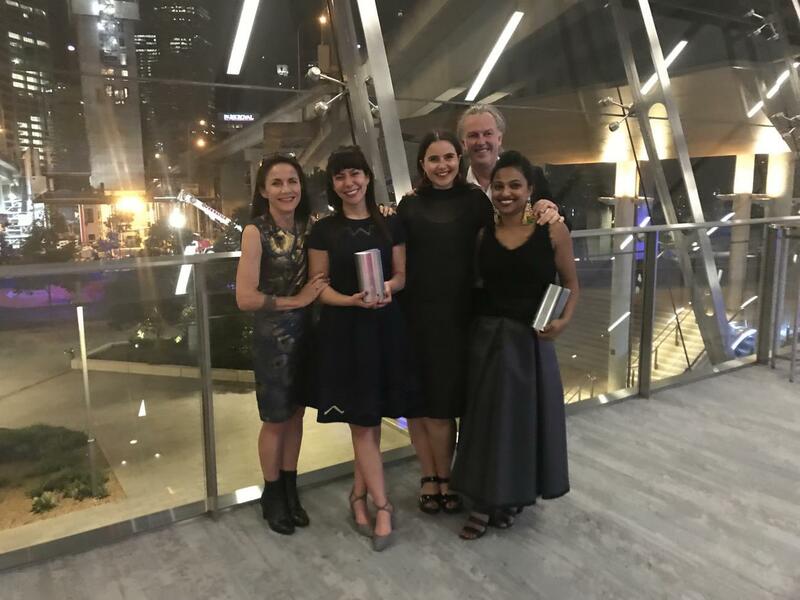 Text’s Marketing Manager Shalini Kunahlan was voted the inaugural winner of the Rising Star Award at the Australian Book Industry Awards last night. This award has been established to recognise emerging talent within the publishing industry and Text couldn’t agree more that Shalini is indeed a talented individual. Shalini Kunahlan isn’t just a rising star – she’s an indie publishing powerhouse in the making, with her energy and influence extending not just to Text Publishing’s marketing but to authors, colleagues, booksellers, other publishers, unpublished writers and community groups. Shalini’s marketing expertise is comprehensive and deeply impressive. She is an imaginative and hard-working marketeer who does everything from stuffing envelopes and dreaming up taglines to making speeches and presenting awards. Our authors love her for her friendliness and her open approach to sharing marketing insights, and of course for the fact that her efforts have so obviously changed the fortunes of their books. But marketing aside, Shalini’s grand passion is diversity in the publishing list and the desire to see Text publish writers from Aboriginal and Torres Strait Islander communities in particular. She has attended numerous forums on diversity and has recently initiated a mentorship program with the NSW Writers Centre, to develop the work of emerging Aboriginal and Torres Strait Islander writers. She is a much loved and valued member of the Text Publishing team. We would love to see her recognised as the 2018 ABIA Rising Star. Shalini is a dynamic decision-maker at Text. Energetic, smart and driven, she makes a difference. She has earned the respect of of her colleagues and clients. She is a delight to work with. Text wholeheartedly congratulates Shalini on the official recognition of what we already know: that she’s absolutely a rising superstar.